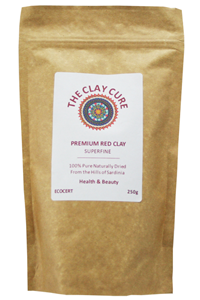 The Clay Cure Company Premium Superfine Red Clay is characterised by its distinctive red hue, a result of its iron oxide content. Premium Superfine Red Clay has a high alkalinity of 9.2ph and holds a strong negative ionic charge that allows it to absorb and draw toxins from the body. It also contains a wealth of essential trace elements and minerals. 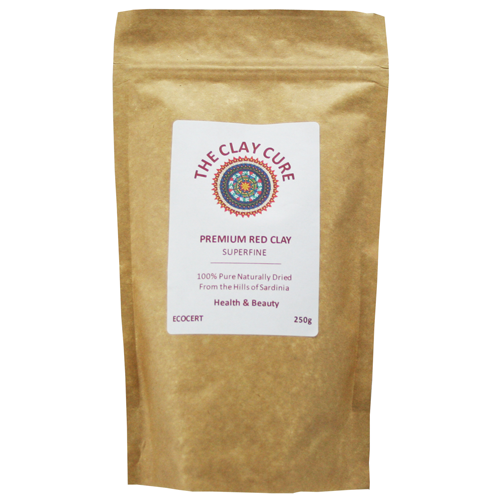 Red clay is renowned for its detox capacity; its action increases the blood flow below the skin leaving it feeling youthful and soft.